We have already had one cool snap, and a couple of rounds of rain, all of which herald the end of summer in South Texas, and the advent of what I believe to be the fairest and most pleasant season. Spring has it's moments of attraction, to be sure, but there is always the threat of the soon-to-be boiling-hot summer hanging over it, as the days draw out. Autumn has no other threat than perhaps a couple of days below freezing, and every two decades a promise of snow. We had our ration of show a couple of winters ago, so it will be a good line time before we get it again. Getting back to the joys of autumn, though – the main one is that one may fully enjoy hours spent in the open air without running the risk of heat-stroke or dehydration – and this particular part of Texas is thick with weekend markets, festivals and shows. The very first Friday of every month is art appreciation time in Southtown and King William; artists and vendors and galleries like those at the Blue Star Arts Complex put on special exhibits. October's First Friday also coincides with the local Oktoberfest, celebrated at the Beethoven Mannerchor clubhouse and garden on Perieda Street for the first and second Friday and Saturday of October. The Mannerchor is one of the oldest and continuously operating cultural clubs in San Antonio, by the way. 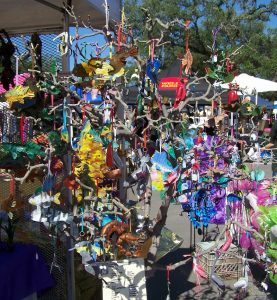 Wimberley's Market Day is on the first Saturday of every month, although they give it a break in January and February – the oldest and the second largest flea market in Texas. It also boasts a wonderful permanent venue – a tangle of paved paths, up and down-hill in a grove of trees. 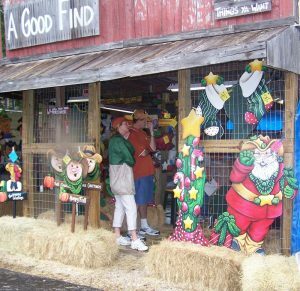 Some regular vendors have permanent sheds, usually tastefully adorned and decorated. You can get everything from antiques, to art, gourmet food items, plants and household items. I recommend comfortable shoes and a shopping cart or a wagon, but that is just me. Alas, they do not permit dogs. We won't be able to get to Wimberley this first Saturday of October, since we'll have our own booth all day at the Bulverde/Spring Branch Fall market. This will be in the Beall's parking lot, at the corner of Hwy 46 and Bulverde Crossing. It's not anywhere as big as Wimberley and they only have it twice yearly in spring and fall – but a large part of the lot is also shaded with oak trees. 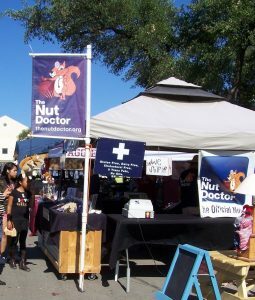 Boerne's regular market days is the second weekend of every month, held in the heart of downtown Boerne on a town square bountifully shaded by a grove of mature pecan trees. There is a regular vendor there who has the most magnificent puffy tacos in the world. 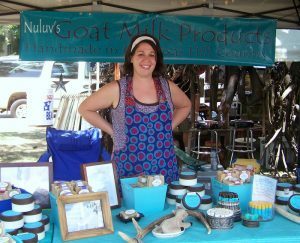 For a third-Saturday of the month market day, head out to Blanco; theirs is held on courthouse square, or to Gruene for the full Saturday-Sunday artistic experience, with live music. 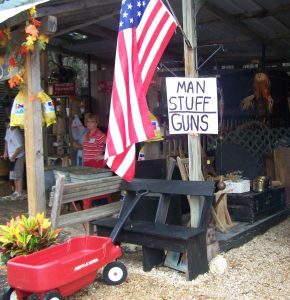 The vendors at Gruene are carefully selected – there is noting mass-produced, or imported, and every item must be created by the artist/vendor. And finally, to fill in the gaps of your weekend marketing schedule, New Braunfels has a regular market every Saturday, on Castell Street in old downtown. Here it was that I saw a local fiber artist displaying an anatomically correct knitted heart, which most definitely was not something you see every day, or even in every market. And that's just a portion of what's on tap for weekend excursions in this part of Texas. Wear comfortable shoes and take plenty of money.